The Hain line vessel TREVAYLOR in Tilbury about 1970 ? . She was built in 1959 at 6,286 grt. 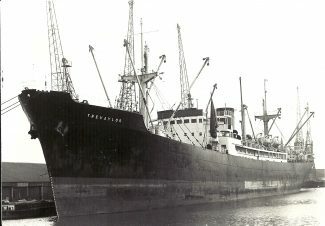 She became the EVGENIA in 1973 and was wrecked off Jeddah in 2/1976.